How do I export a list of my students' usernames and passwords? 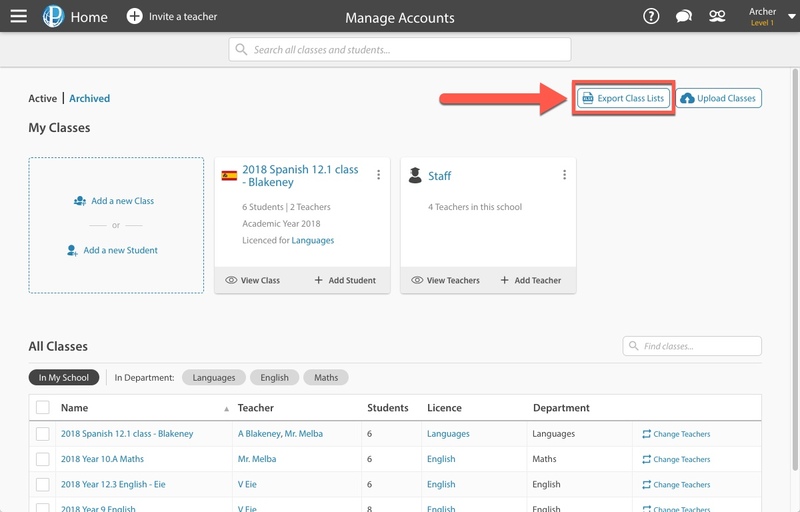 You can quickly and easily provide students with their login details by exporting a spreadsheet from Education Perfect. Open Manage Accounts from your Control Panel. 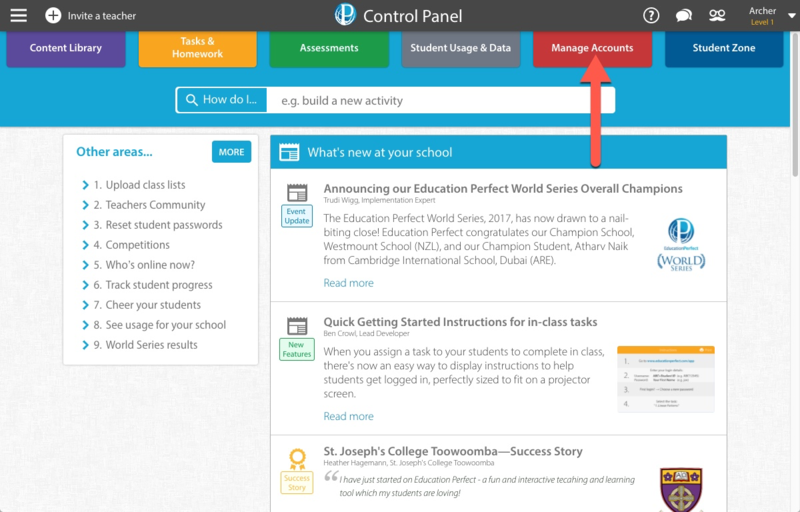 This will take you to a panel of your own classes, alongside a list of your school's classes. 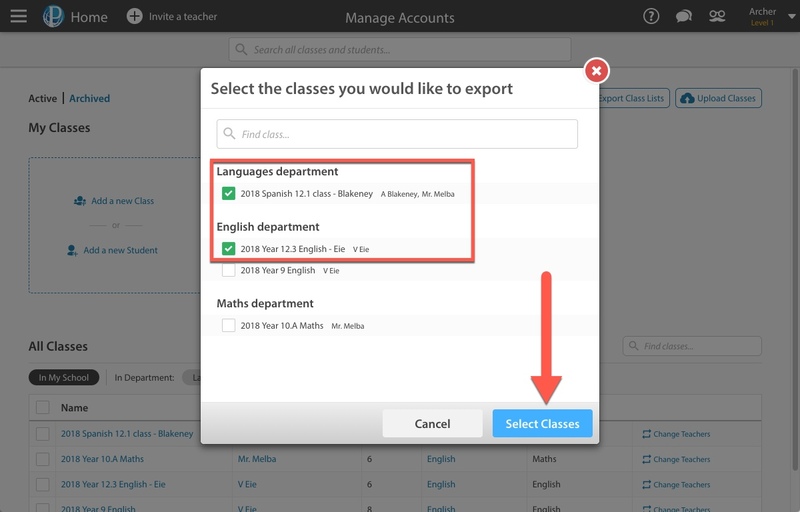 To the top right of your classes, you will notice an option titled Export Class Lists. Select this option. Select the class, or classes, you would like to export by ticking the boxes beside them. Next, select the Select Classes option. This will download a spreadsheet containing your students' details, including their full names, usernames, passwords, and email addresses. Any passwords that have been 'starred-out' (****) within this spreadsheet have been changed from the default by the user. If you'd like to, you can reset these passwords.